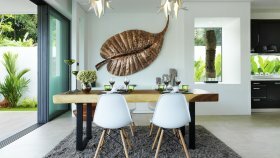 Cocoon Villas is a development of 14 luxury villas, providing privacy within a gated community. 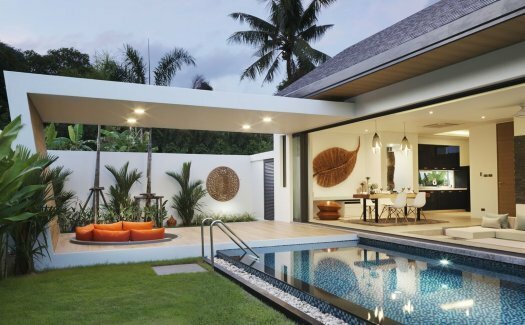 Designed in a modern and contemporary style, semi detached or detached, available with two or three bedrooms, each villa features a private pool surrounded by tropical trees and lush garden. 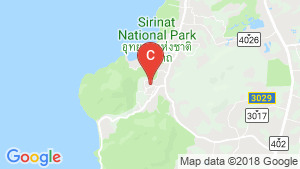 Set in the peaceful area of Nai Thon, on Phuket West Coast, the development is a short distance away from Nai Thon and Nai Yang beaches, local and international restaurants, Phuket International Airport. Cocoon Villas is a villa project developed by Cocoon Group, Cocoon Villas construction will be completed in December 2019. 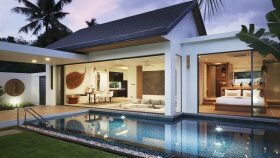 Cocoon Villas at Nai Thon Beach, Thalang has the following facilities: air conditioning, garden, parking, security, swimming pool and wi fi. 2 bed villa for sale in Nai Yang, Phuket with Garden, Pool View | Unit ID: PH-3963 | FazWaz.